While virtual reality has brought in a fresh meaning to peer-to-peer learning, schools and colleges are yet to warm up to VR adoption, according to Raman Talwar, CEO of Delhi-based VR startup Simulanis. 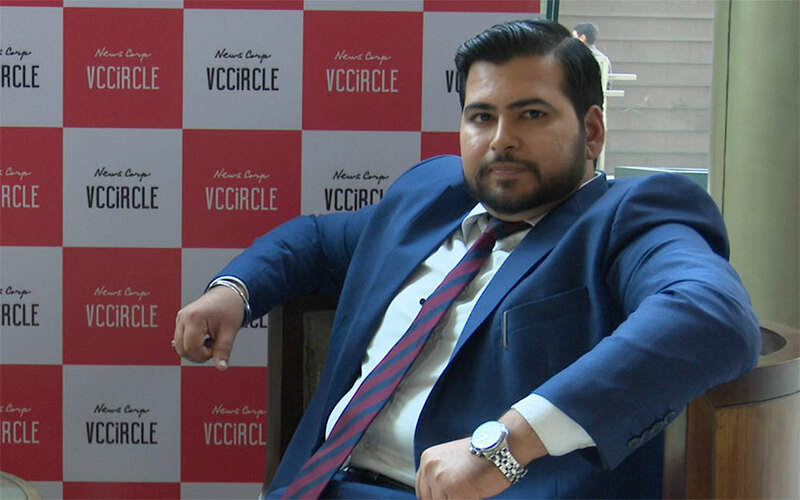 However, VR can radically change the education landscape, Talwar told VCCircle. For instance, schools and colleges can hold examinations in VR mode if regulatory concerns related to VR hardware are addressed, he said. "If regulatory concerns that are linked to safety, among others, are addressed, you can see schools, colleges and universities holding examinations or assessments in VR mode. All our applications can support assessments and are based on collaborative learning experiences," Talwar said. "Companies such as HTC, Facebook and Microsoft release their hardware much later in India due to the regulatory issues in the country. This becomes a challenge for companies like us which are working on these new technologies and we lag behind in innovation or in terms of offering services compared to more developed markets such as the US," he said. Founded in 2013 by Talwar, Simulanis started by offering skilling programmes to train engineering students via computer-based modules. Later, Talwar expanded to offer work environment simulations to train employees as well. It started incorporating VR and augmented reality (AR) into its offerings in 2015. However, it was not an easy road for Talwar who had set up the company in Delhi's Lajpat Nagar neighbourhood by investing Rs 15 lakh of his own money. "We started with technical education institutes with the proposition to save costs. But VR was too good to be true at that point and was ahead in time for a country like India. This is why we started focusing on the industrial sector which had the money to invest in newer technologies," Talwar said. "We wanted to make sure that we were returning 50 times return of investment in terms of time, cost or reduction of accident rates," he said. The company's AR/VR-based products also drew attention from investors. In April this year, the company raised an undisclosed amount in its pre-Series A funding from early-stage investment firm Village Capital and a consortium of investors including Pawanjit Ahluwalia, chairman of India Skills; Apurva Chamaria, VP and head - corporate marketing, HCL Technologies; and Mridul Upreti, CEO of Segregated Funds Group at Jones Lang LaSalle. The funding round encouraged Talwar to hold on to his plans of incorporating AR and VR in education. However, adoption of AR and VR continues to be a challenge in the sector. "The uptake for VR is slow. Even if the principal of a school agrees to use it, teachers don't end up using it and thus there are reduced chances of conversion," he said. "However, we are going to see an explosive growth in 2018 as peer-to-peer or game-based learning models are seeing more adoption by students. We are focussed on delivering unique content. We are offering VR simulations that students have practically no way of seeing—for example, repairing a satellite in outer space or solving a plumbing problem underwater," Talwar said. But VR simulations come with a high price as VR hardware is expensive. "Buying VR hardware is a problem for any VR-based startup. Because we want to focus on expanding next year, we are looking at raising $1-1.5 million in a Series A round by the end of next year. Now, we have enough funds to operate for six to eight months," Talwar said. Simulanis offers industrial training to employees in auto, oil and gas, railways, FMCG and pharmaceutical sectors. It has already started operations in the UK via a subsidiary. The startup recorded revenues worth Rs 62 lakh in 2016-17.